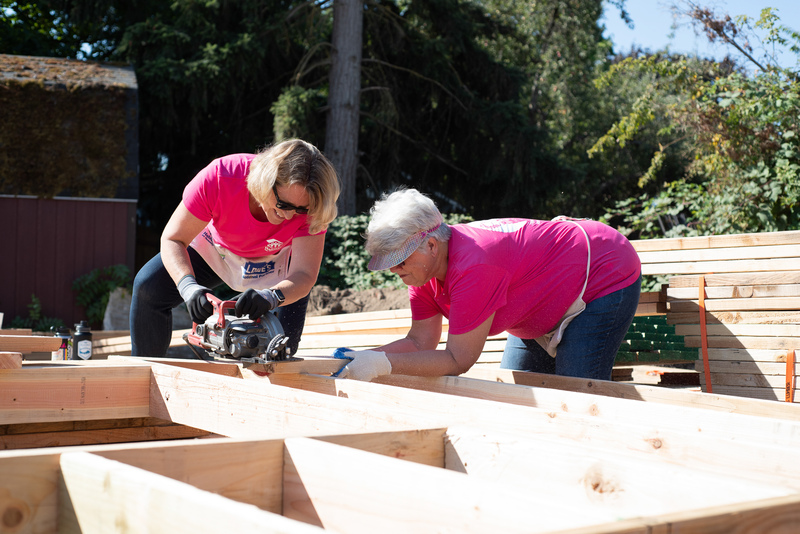 Clad in bright pink shirts and tool belts, more than 30 women worked together to frame and raise the walls of a four-bedroom house in Mt. 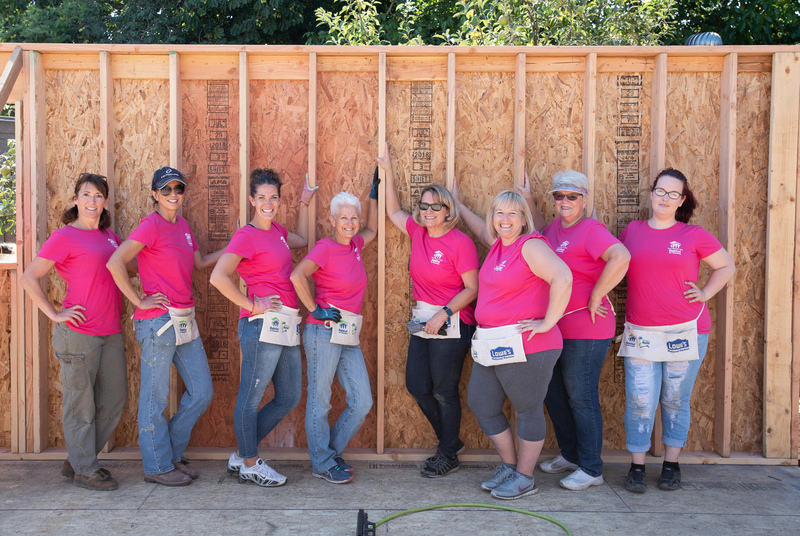 Angel as part of North Willamette Valley Habitat for Humanity’s Women Build Weekend Sept. 7-8. The group cut lumber, wielded nail guns and other power tools and learned construction skills in the process. Funds raised during the event will help cover construction costs of the home, which is for a single mother, Jessica Bomar, and her three children: Abby, 12, Chance, 10, and Cash, 6. “I believe that moving into a home of our own, our very first, will be the foundation of a new start to our lives,” Bomar said. NWV Habitat was founded in Mt. Angel, so this home build brings the organization back to its roots. This will be the 47th home that the local nonprofit has built in the last 32 years. Nourished Beginnings donated the lunches for the event and Roth’s Fresh Markets of Silverton provided donuts and cookies. The following local business donated prizes: Oregon Garden Resort, Long Bros. Building Supply Inc., Lularoe Steffani Dayton and Mackenzie’s Esthetics. To make a donation or to learn more about volunteer opportunities, visit nwvhabitat.org or email info@nwvhabitat.org.